Pillar of Light is column of energy merging with universal laws. Pillar of Light is column of energy merging earth with universal energies. When your words match your true feelings - that resonates with your body. It is the seed (your thought) that takes (your body). From that moment on you grow as individual not a copy. Connection to your personal pillar of light is your word, your truth waking up your body. Like a seed sprouting. 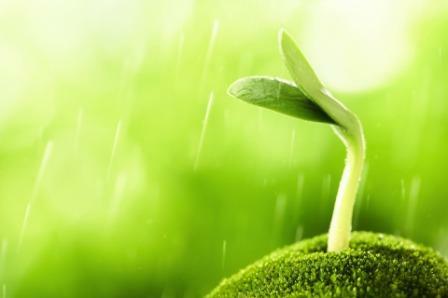 Seeds sprout when they connect with their environment. If the environment is not right seed rots. It becomes part of the earth, it disappears. When the seed takes it becomes itself. it breaks through the soil. When you just conform, you separate from your truth. This creates leaks in your column of energy. People refer to that as the aura. Labeling complicates things by generalising your ability to express your authentic self. Listen as this woman describes her personal Pillar of light and how she began to rock physically. Her story is within this video. Most powerful experiences come when feelings of disconnect and disassociation become so strong that you decide to seek help. Until you are ready and directly asking for it, this energy cannot enter. When you don't know what's possible - then you cannot seek or ask for it. People in these videos have been prepared to see me by hearing what others had to say. When they personally felt the experiences they wanted to help you understand how this can work for you. By conforming, you separate yourself from you. This creates leaks. Everything you say and do is therefore reduces to repeating the status quo. These conditioning's are invaders that began from time of gestation. While you were developing in the womb, you were affected by everything that was said and done by your mother and people around her. That was the beginning of invasion of your personal pillar of light. Pillar of light and intense heat that Bazza felt he shares his version of experiences. Everyone experiences their personal link and journey of their personal pillar of light and it adjusts and adapts to who you really are. Pillar of Light Energy pours into and through the body - this is the most profound ecstasy a human can experience. You can feel this way with people closest to you. Your energy system has been hijacked by everyone else's idea of who you should be. Their thoughts and demands are in your energy field. In this work I get you to connect with your pillar of light energy simply by invoking who you are. This is the secret to shamanic Living.